Spherical fishing net weight with central hole and two sets of three incised parallel lines. 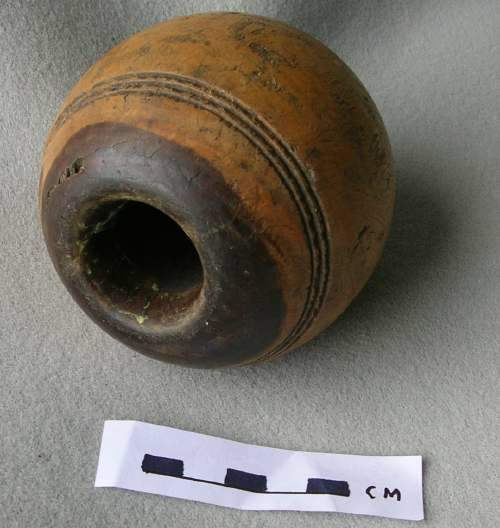 Dense pale wood but darker inside and round edges of central hole, probably from contact with rope. Described on old database as a counterweight from a stable bridle.